While a standard wine bottle holds 750 ml, or just over 25 ounces of wine, a magnum holds twice that amount. The 1.5 liters of wine in a magnum are enough to serve 10 5-ounce glasses or 25 2-ounce tasting samples. 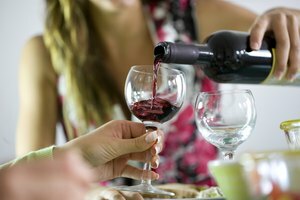 If you’re considering buying a magnum or two for your next dinner party or wine tasting, don’t expect to pay the same price for a magnum that you would for two 750 ml bottles. For high-quality wines, you’ll pay more for a magnum than for two regular-sized bottles. This price difference reflects the superior quality of wine that has aged in a magnum. Because the amount of air in a magnum is proportionately less than the amount of air in a standard wine bottle, the wine ages more slowly and more evenly. 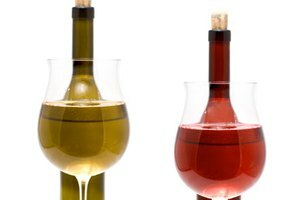 EatRight.org: What Is Considered One Serving of Alcohol?